It was late 1975 and I was on a mission to impress my Greek boyfriend by learning how to cook some of his national dishes. This wasn’t easy then, apart from the dearth of some vital ingredients, there was really only one cookbook available and also, at that point, I had never been to Greece. 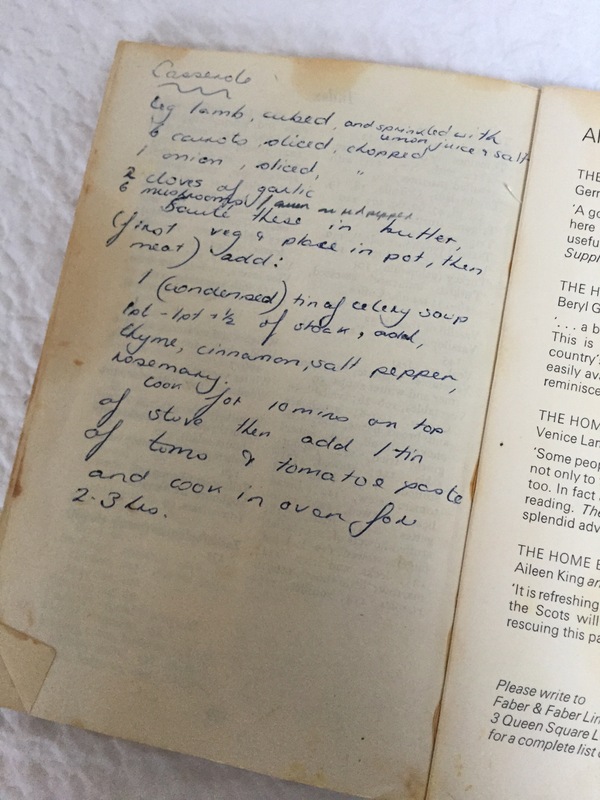 With the best intentions, my sister passed on a recipe for a Greek lamb casserole and I diligently copied it down into the back of my copy of ‘The Home Book of Greek Cookery’ – and there it still is. I think I probably cooked it once, maybe twice, but it wasn’t as authentic as I had hoped. 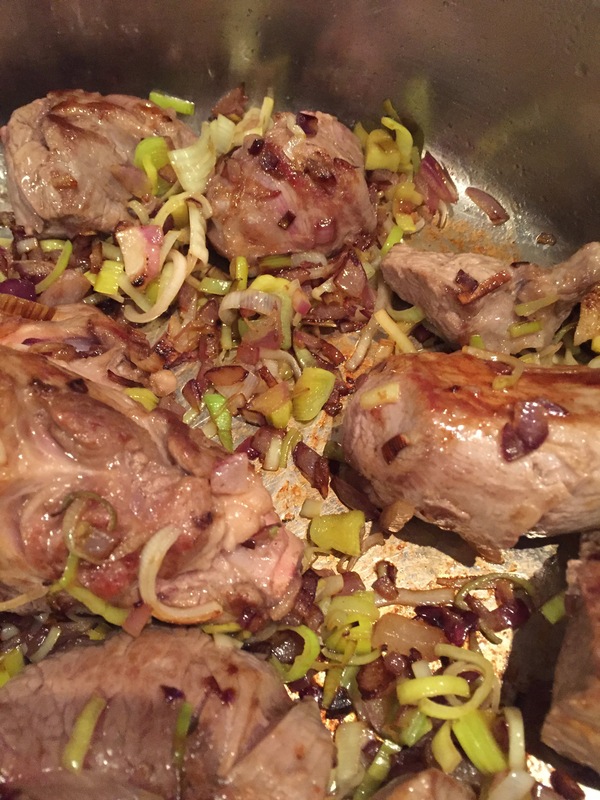 It starts off reasonably enough with trimmed, cubes of lamb, ‘sprinkled with lemon juice and salt’. The addition of onion and garlic is fine too. 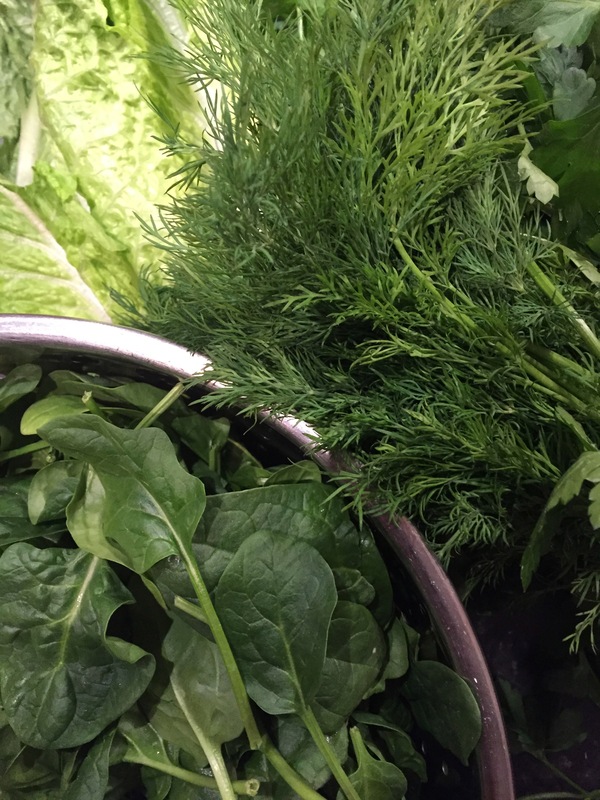 The use of thyme, cinnamon and rosemary is probably ok but mushrooms are not commonly used in Greece. 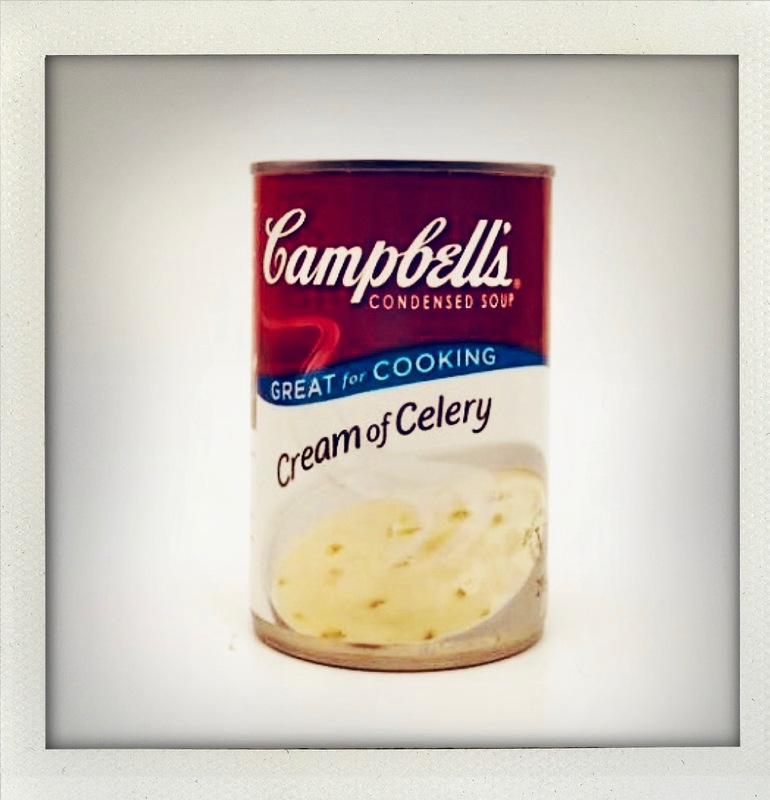 It all starts to go really weird with the appearance of a tin of celery soup (condensed) on the list of ingredients. I can safely say that as my familiarity with Greek food has grown, I have never added a can of soup (condensed or otherwise) to any traditional Greek dish. But then, this was England and it was the mid-Seventies. Some years later, on a bitterly cold but incredibly bright, winter’s day in northern Athens, we went for a spot of Sunday lunch. It was one of those long, leisurely taverna lunches and I vividly remember a rickety building, with steamy windows, heated by a wood-burning stove – its long, metal chimney snaking across the ceiling. 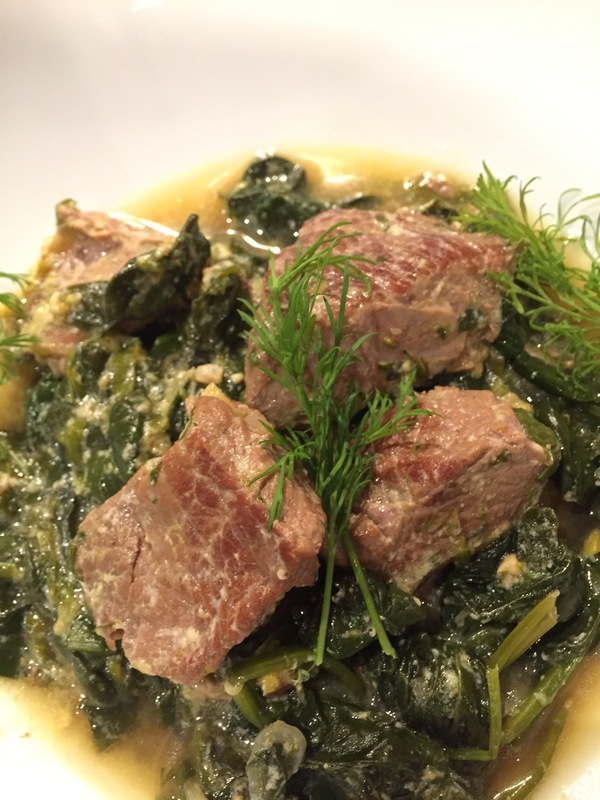 The meal was one of lots of different winter dishes – perhaps plates of stuffed cabbage leaves, maybe some bulgur wheat, maybe some chickpeas, the most memorable though was a steaming bowl of fragrant, creamy greens and unctuous, tender lamb. That’s when the penny dropped and I realised what that recipe of lamb and condensed celery soup, albeit in a very Seventies’ way, was trying to recreate. It had, of course, meant to be ‘arnáki frikasé’. You don’t need to be a great linguist to realise that fricassée is not a very Greek word. I imagine our old friend Nikos Tselementés, as part of his campaign to westernise Greek food, gave a pre-existing traditional dish a fancy European name. In classic French cuisine, fricassée is made by braising meat or poultry without browning the meat, adding some vegetables (usually mushrooms) and thickening the cooking juices with a white, roux sauce or heavy cream. So you can see how, if you wanted to rebrand a dish of braised lamb, leaf vegetables, fresh herbs, all finished with the very Greek egg and lemon sauce, you would give it the tag of ‘fricassée’. Although it is one of the loveliest, most delicate of traditional casseroles, it is possibly the least photogenic ! 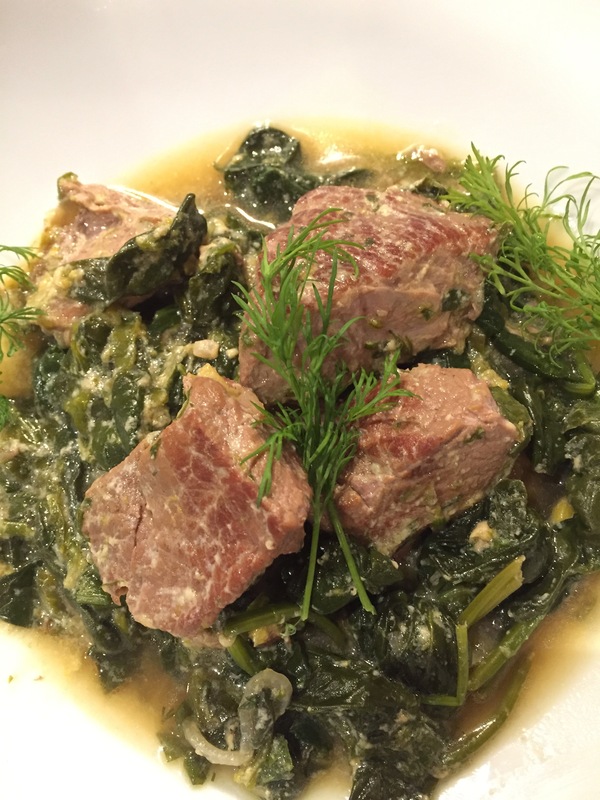 Appearances aren’t everything though and with it you have a perfectly balanced, one-pot meal that combines a small amount of lamb with piles of braised lettuce or spinach; the creamy avgolémono sauce is a very light, low-fat alternative to cream. Combined with a side dish of boiled rice, it is one of my favourite meals for a cold winter’s day. Now make the avgolemono. Break the eggs into a fairly large bowl and mix well with a whisk. Bit by bit, add small amounts of lemon juice, whisking in each one well, before adding the next. Always tastes better than it looks !! An enjoyable read by the fireside. So mushrooms aren’t very Greek? What on earth do they do with them? And those sweet-sour mushrooms a la Grecque are really French? Glad you enjoyed! There’s a fair amount of suspicion of mushrooms- cultivated ones weren’t really available until the Seventies and were regarded as a luxury. I think with urbanisation the skill of gathering and recognising wild mushrooms was largely lost. My mother in law wouldn’t touch them ! 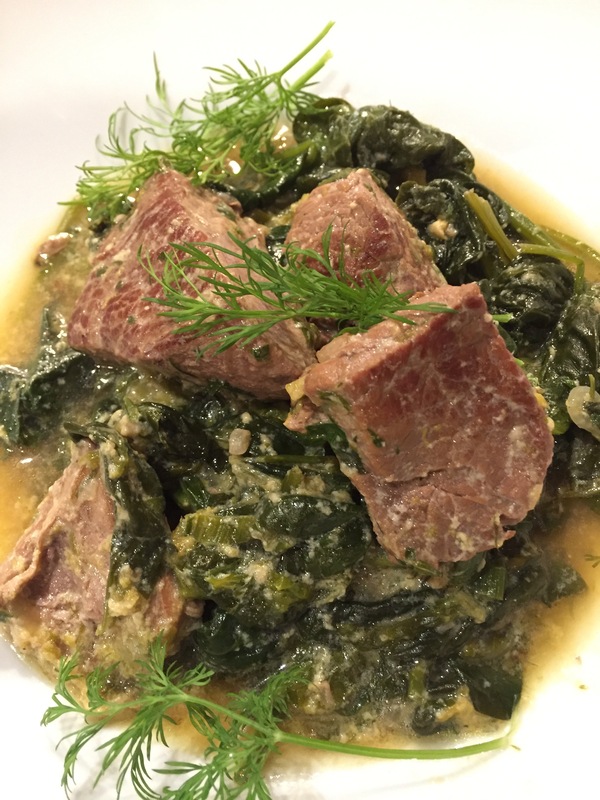 A la grecque usually means things are served room temperature (or cold !) I think … it’s not a cuisine noted for serving things piping hot !